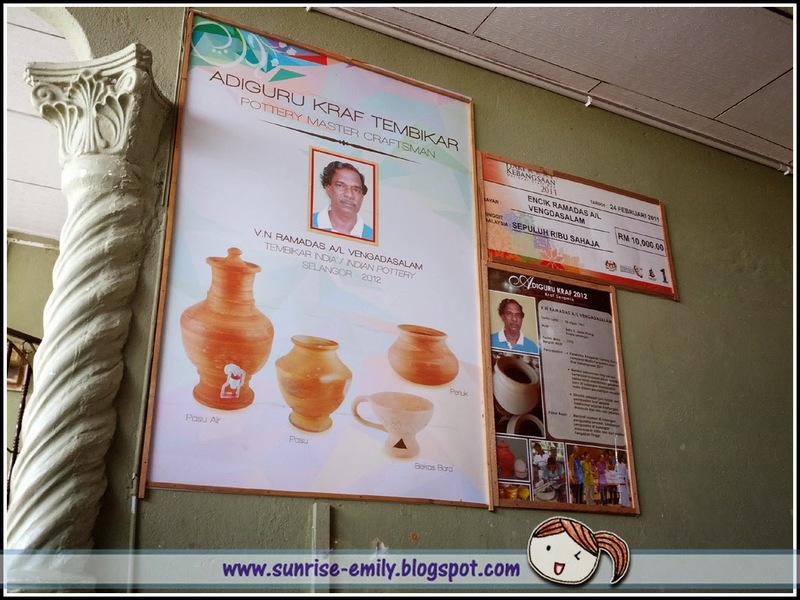 I blogged about my Langkawi trip not long ago exactly was 2 years back here. To enjoy the beautiful scenery along the journey, my friends and I decided to make a road trip to Langkawi by bus for my second time there. 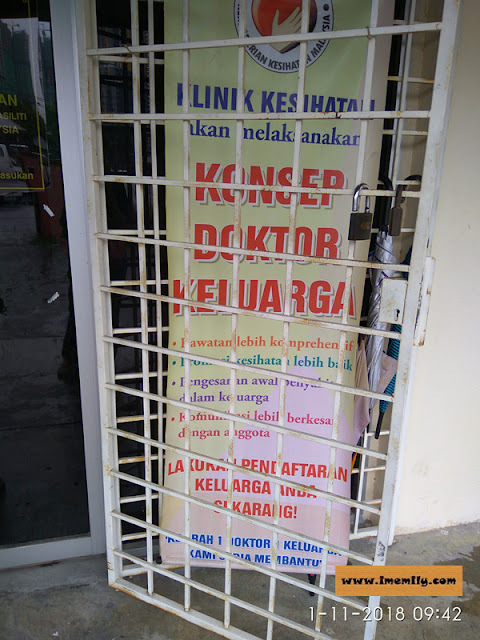 For those who never travel to Langkawi, mainland vehicles are not allowed to enter into Langkawi. Thus, we either chose to disembark at Kuala Kedah jetty or Kuala Perlis jetty to board the ferry to Langkawi Island. Well, the whole bus journey could be a torture especially sitting long hours on a bus without a proper sleeping position. We took the bus at night in BTS KL bus terminal and estimated reach the place in the morning. The bus fare for one way is about RM 47+. The passengers who boarded the bus were not many as I expected and thought we could have free seating. But I was wrong, the worst part is the uncountable stops along the way. They disembarked passengers starting from Ipoh to Kangar, Alor Setar, Sungai Petani, Kulim, Jitra, Baling, Kuala Kedah and etc. Every time when I thought we were going to reach, disappointment took me more. We arrived Kuala Perlis bus terminal when the sunrise. 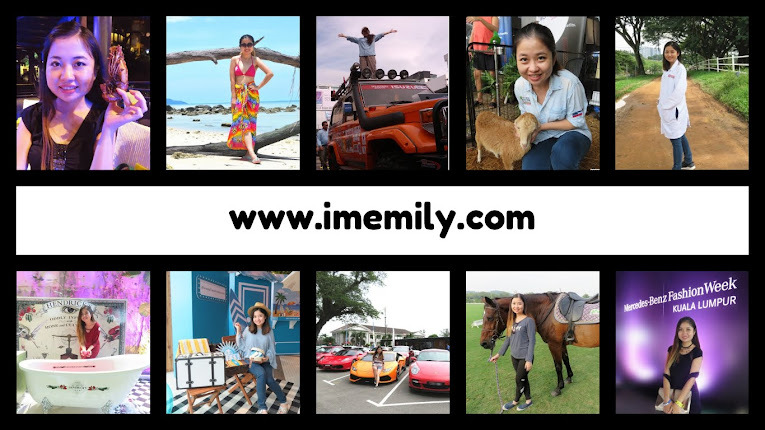 We were welcomed by the taxi drivers who offered to take us to the jetty with RM8 perhaps. 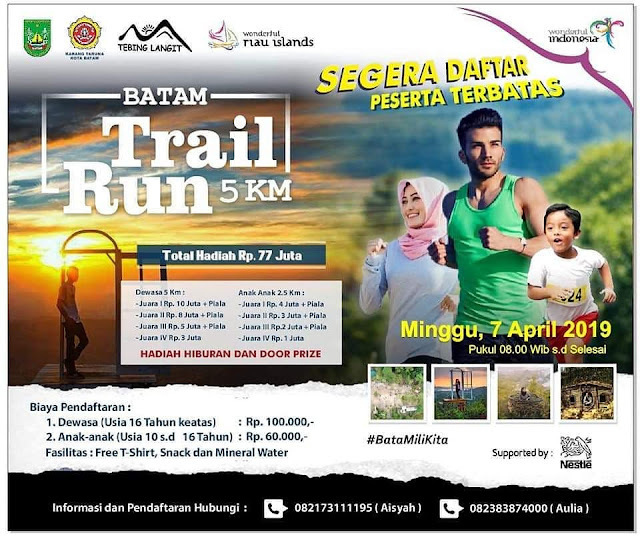 By the way, the bus terminal to jetty is WITHIN WALKING DISTANCE. It was about 5 minutes walk with our pieces of luggage. So, don’t be conned by the taxi drivers! I had no idea why we chose to board the ferry at this jetty but it was said much nearer to Langkawi compared with Kuala Kedah. 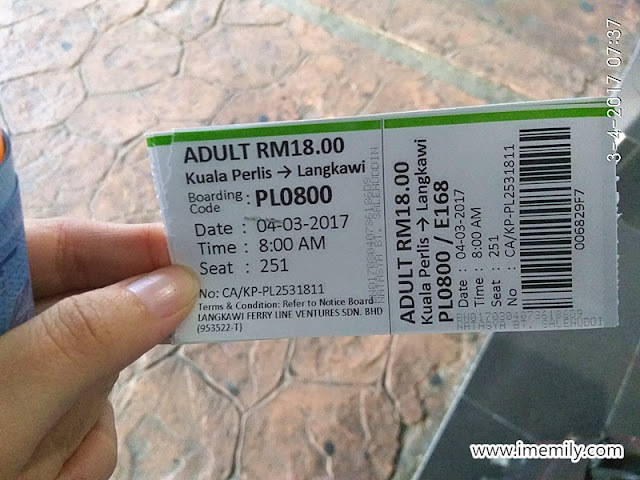 From the website, Kuala Kedah > Langkawi took 1 hour 50 mins (RM 23 adult), whereas Kuala Perlis > Langkawi (RM 18) adult is just an hour time. The whole road and ferry trip took us around 13 hours. I almost mad! 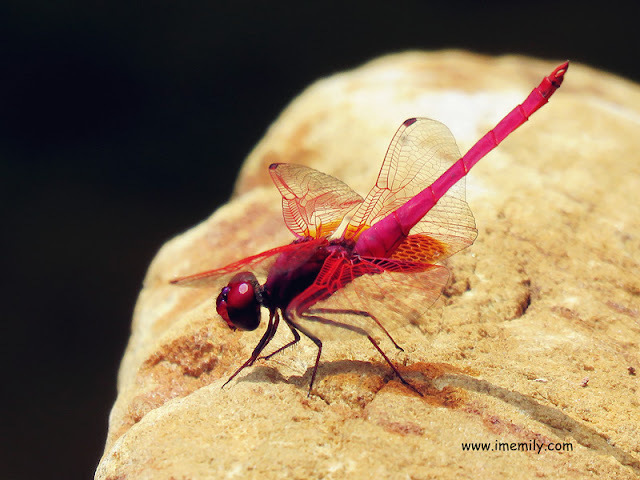 Well, if there is any cheap flight to Langkawi, I would not hesitate to book one. We tried to reach the island as early as possible during the weekend before all the cars rented out or left with limited cars selection. After a round of discussion, we decided to rent Toyota Vios for a day with the cost divided by 4 of us. 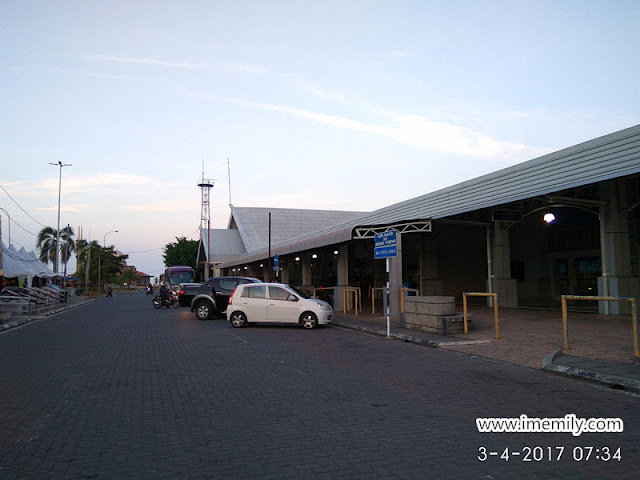 At the Kuah jetty (Langkawi), I found that was a counter selling ferry ticket to Koh Li Pe, Phuket and few islands nearby. 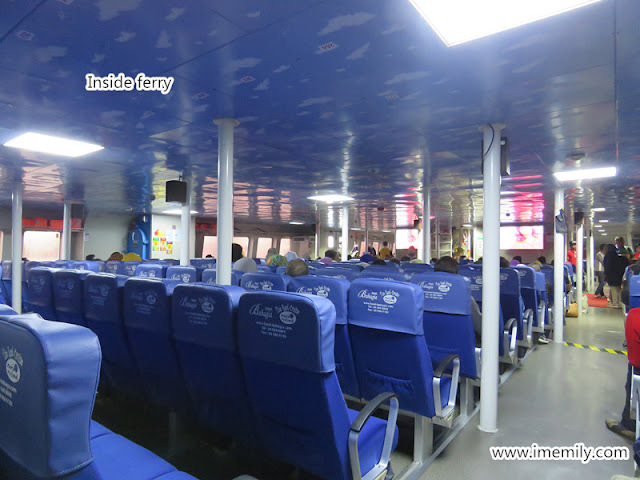 For those backpackers, it could be a choice to you to travel to Thai islands via ferry by making Langkawi as a transit point (Kuala Lumpur to Langkawi Flights). 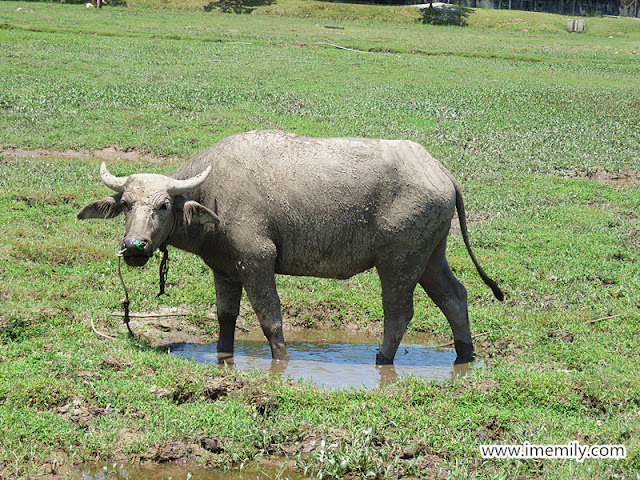 Our self-drive journey brought us to The Gemalai Village which we never planned. 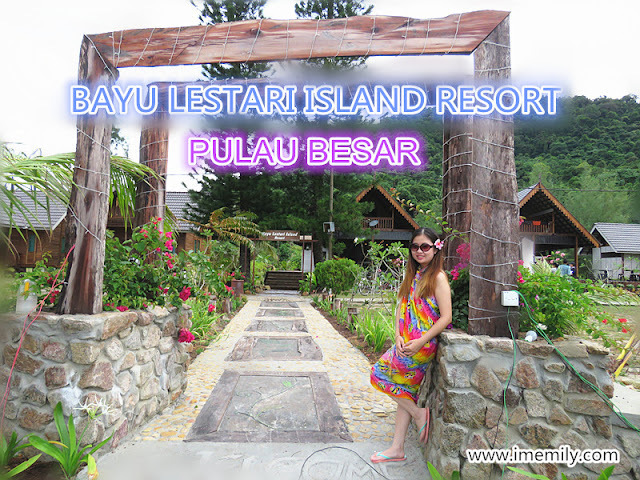 We drove without a destination and stopped by to pay a visit as this place caught our attention with its Malay-themed village styled chalets with the scenic greenery surrounding. 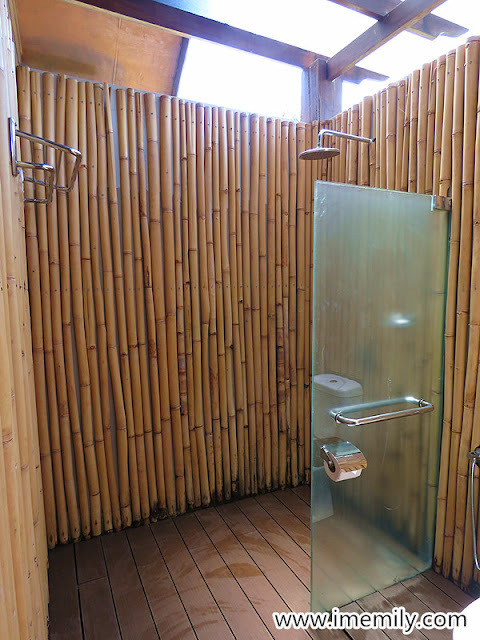 Located at the entrance of Cenang Beach, this place offers a unique staycation to the guests with its secluded ambience setting in a paddy field. 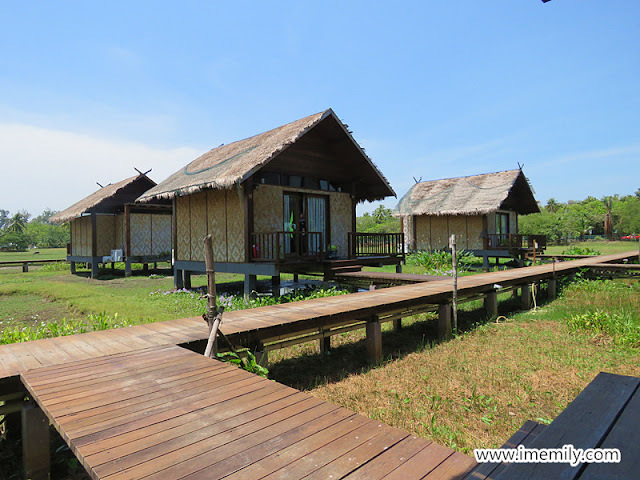 It was very exclusive as The Gemalai Village only offers 6 chalets units with the rate ranged from RM290- RM380 per night. After taking our lunch, we proceeded to Seven Wells Waterfall. 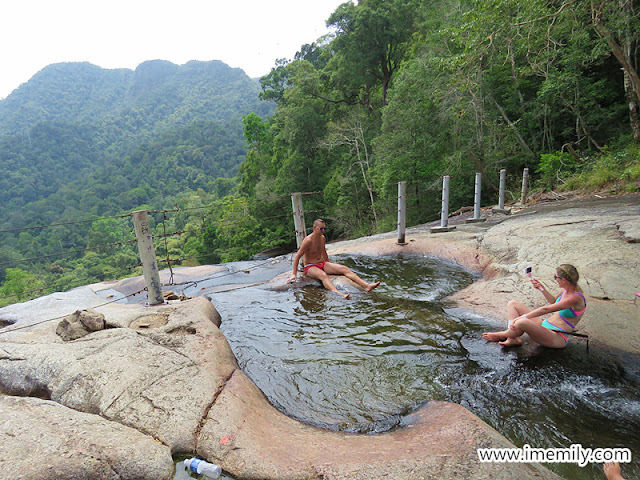 Set on Langkawi western headland, Seven Wells waterfall refers to seven connected natural pools fed by the waterfall in Mount Machinchang. That’s a legend saying that this is a place where fairies like to swim. The climb up to the top of the waterfall is steep and took about 45 minutes. 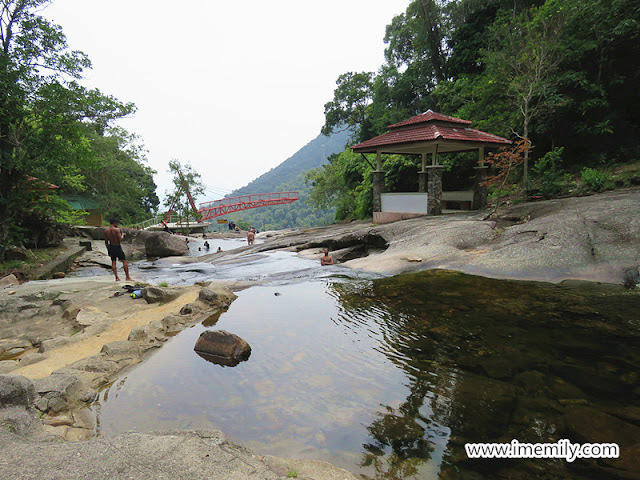 However, we just reached the mid-level of the waterfall height where we could spot few foreigners swimming and enjoying the sunbath. 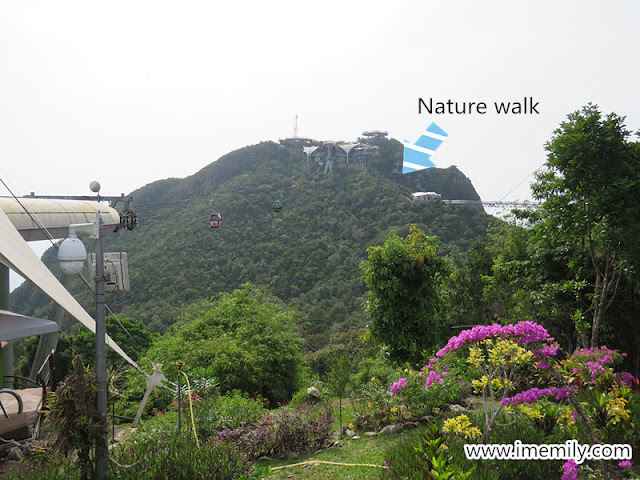 By the time we reached, all of us were sweating heavily and almost out of breath after hiking up 638 staircases. It was almost 4pm by the time we descended. 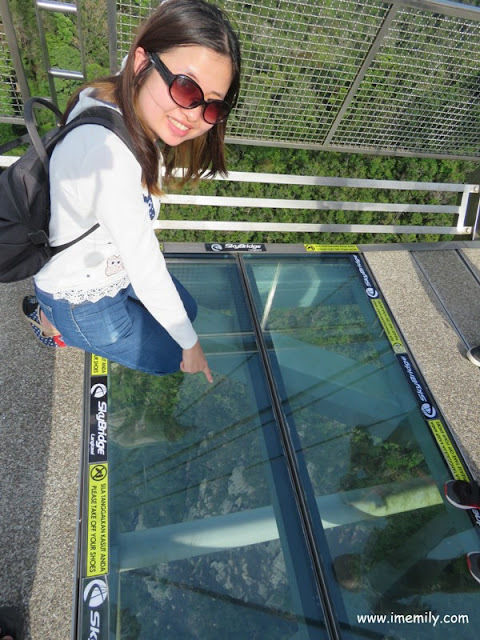 Our next destination was the Langkawi sky bridge. The drive took us about 5 minutes. 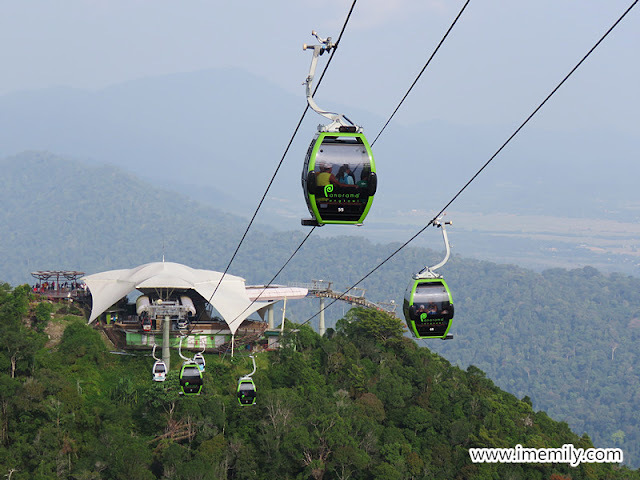 The sky cab ticket costs us around RM50 per person which the ride actually does not get us directly to the sky bridge. The package includes entrance to SkyDome, SkyRex and 3D Art Langkawi (which I think unnecessary). 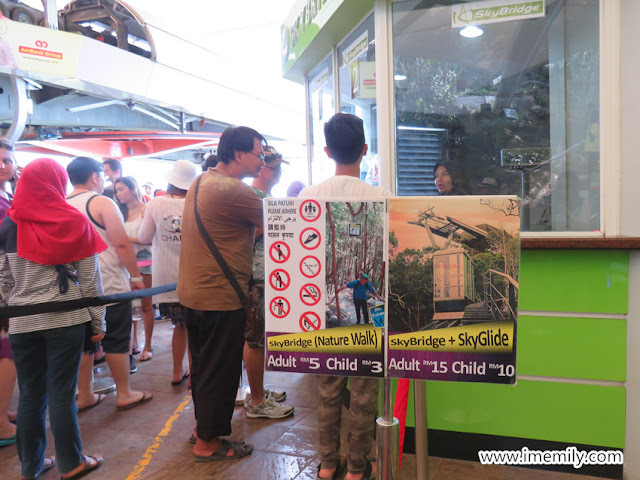 The ticket is pricey to me as a student, in addition, there is another surcharge for the sky bridge (RM5 for a nature walk to sky bridge/ RM15 for SkyGlide). 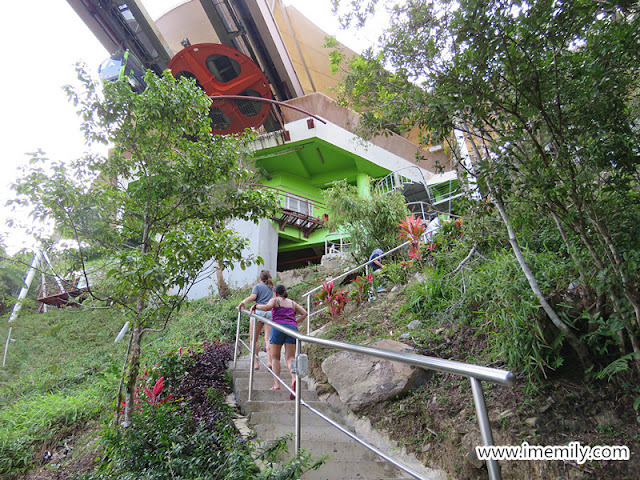 I paid another RM5 for it but I could say that was a very tiring hiking trip to the sky bridge. 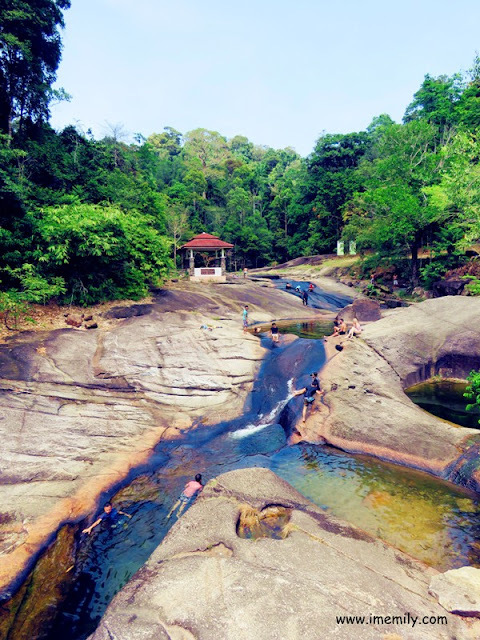 I spent so much energy previously on the trail of Seven Wells Waterfall. The staircases up and down at the Nature Walk was painful enough for me. My leg was fatigue at that time. I tried hard to reach to the sky bridge by pulling my body to the front with both my hand at the handrail while saving energy on my legs. But the view at sky bridge paid off my effort. 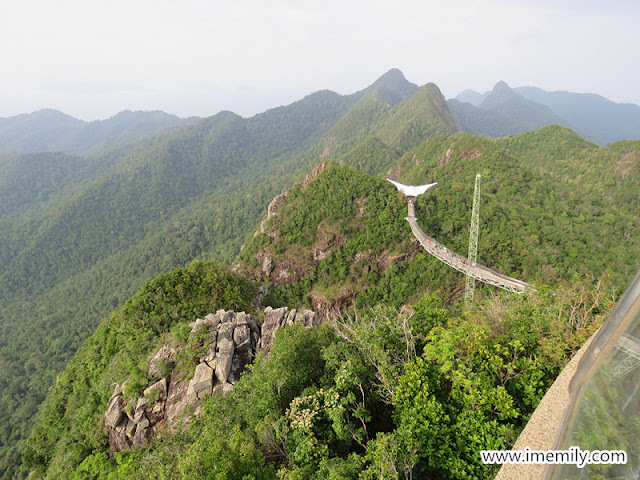 Langkawi sky bridge is actually a suspended bridge built on top of the Machinchang mountain. It is being known as World Longest Free Span and Curved Bridge with 125 m in length which also the top 10 landmark in Malaysia. This amazing architecture was balanced from an 82m high single pylon, hang at about 100m above the ground which could support 250 people at the same time. Honestly, I could feel the bridge swung a little when the wind blew. 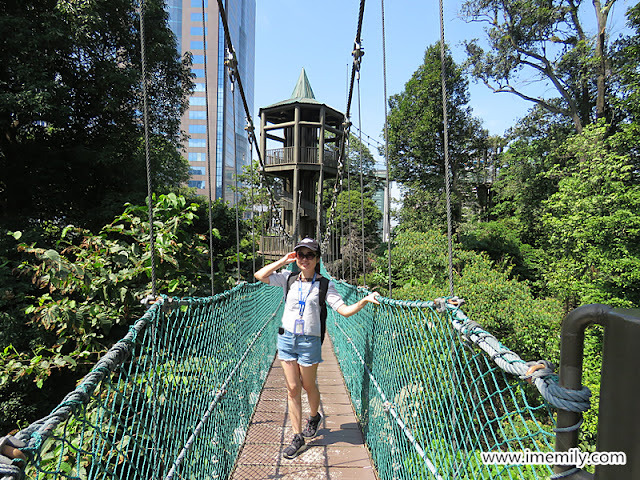 I took about half an hour time to conquer the fear to walk on the bridge to the other end as I have acrophobia. Well, I was not the only one who has such problem. There were people who did not manage to get to the other end too. 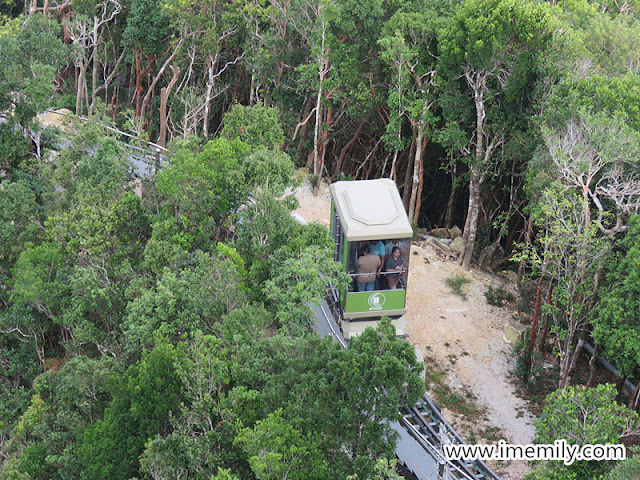 The landscape gives visitors a unique spatial experience and spectacular aerial views of the unattainable location such as the virgin jungle. Make me want to revisit Langkawi. Haha. Nice photos. Love the skybridge. Sound like a long day. I took a bus trip twice in my life. After the second bus trip. I said never again will I travel by a bus.